This advanced course in medieval manuscript studies will build upon the skills acquired in introductory classes in paleography, codicology, and the history of the hand-produced book; it is intended to deepen an individual’s understanding of the varied approaches to medieval and Renaissance manuscripts. Primary working sessions will be hands-on analysis and discussion of fragments and codices (both complete and incomplete) in the Beinecke Rare Book and Manuscript Library—one of the foremost collections in North America. Students will select a Yale manuscript to research and to describe in detail for a final oral presentation in the class. In addition to practical sessions of transcribing difficult scripts from the later Middle Ages (c.1100–1500), there will be workshops by Yale conservators on inks and pigments, parchment, and paper, including watermark identification. There will also be a session on collating complex manuscripts and the importance of collation for understanding the production of medieval manuscripts. The emphasis will be on research with medieval primary source materials and through PDFs of pertinent and specialized articles; digital images of comparative materials will be circulated to participants. Classes will be taught in the Beinecke Library, though students might also work on early materials from the Yale Law School special collections for their projects. In their personal statement applicants should list previous courses (and dates when taken) completed at RBS and elsewhere in medieval manuscript studies, paleography, codicology, &c.; their past experience in the use of medieval and Renaissance manuscripts; and their level of proficiency in Latin and other languages (e.g., Greek, Middle English, &c.). Applicants should have very good or excellent Latin language skills. Barbara A. Shailor teaches this course. 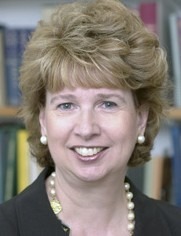 Barbara A. Shailor became Deputy Provost for the Arts at Yale University in 2003, before which she was Director of the Beinecke Rare Book and Manuscript Library at Yale. She retired from administration in December 2012, but continues at Yale as Senior Research Scholar and the Co-PI on a Mellon funded grant (“Digitally Enabled Scholarship on Medieval Manuscripts at Yale University”) and as Senior Lecturer in the Department of Classics, teaching introductory and advanced Latin paleography classes. Shailor is the author of the three-volume Catalogue of Medieval and Renaissance MSS in the Beinecke Rare Book & MSS Library, Yale University (1984-1993) and of the frequently reprinted The Medieval Book: Catalogue of an Exhibition at the Beinecke Rare Book and MS Library, 1988). She has published extensively in the area of Visigothic paleography and monastic book production in medieval Spain. Shailor serves as a trustee of the Samuel H. Kress Foundation and was elected to the Comité internationale de paléographie latine in 2000, and as a Fellow of the Medieval Academy in 2006.